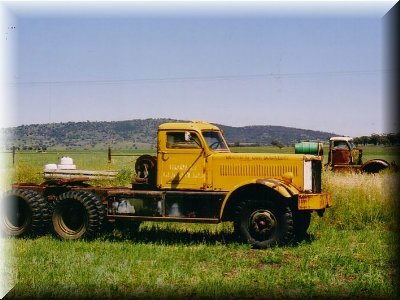 To encourage the preservation of old trucks and their history. To display our vehicles and support community events and charities through our local truck show. To help other members with restoration and information of their trucks. The Golden Oldies Truck Club evolved from a yearning to have a club that was specifically focused on trucks. A Registry was initially formed and the interest shown was overwhelming. After about eighteen months it was decided that it was time to take the next step and in May 2006 the ‘Golden Oldies Truck Club Inc’ became a reality. We now have 79 financial members with well over 150 vintage trucks between them. They consist of trucks from the turn of last century up to the mid seventies. Some have been restored while the others are undergoing restoration or are still in their working clothes. 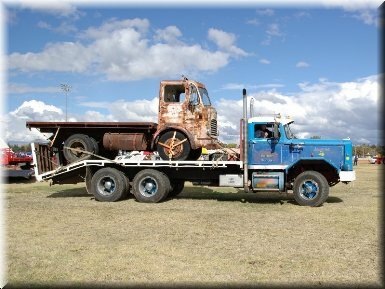 In September 2006, just three months after we were officially a club, the Golden Oldies were invited to assemble their trucks at the Australian Road Train Association’s ‘Trucks out West’ truck show at the Dubbo Showground. What happened that Saturday in September really sealed our belief that there really is a huge interest in reliving our past transport industry. 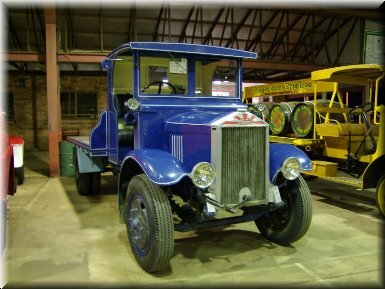 There were over 100 vintage trucks on show which came from as far as Brisbane, Melbourne, Sydney, the Central Coast and from all areas of NSW. It was a huge success and we are now making a concerted effort to make the show an annual event. The Golden Oldies Truck Club has members from all over NSW. Because some of our members are quite a distance from Dubbo, we try to keep them informed with quality Newsletters during the year. The newsletter includes the president’s report, members' photos of their vehicles, reports on events and shows as well as the classified section. The main feature is a section called 'My Story', which is a contribution of someone’s memories of the past. These stories are very fascinating and we have received many favourable comments. A club meeting is held on the last Monday of the month at the Dubbo Aero Club Clubrooms, Dubbo City Airport, Mitchell Highway, Dubbo at 7.30pm. Afterwards we have a cup of tea or coffee and a biscuit. All interested in old trucks are invited.